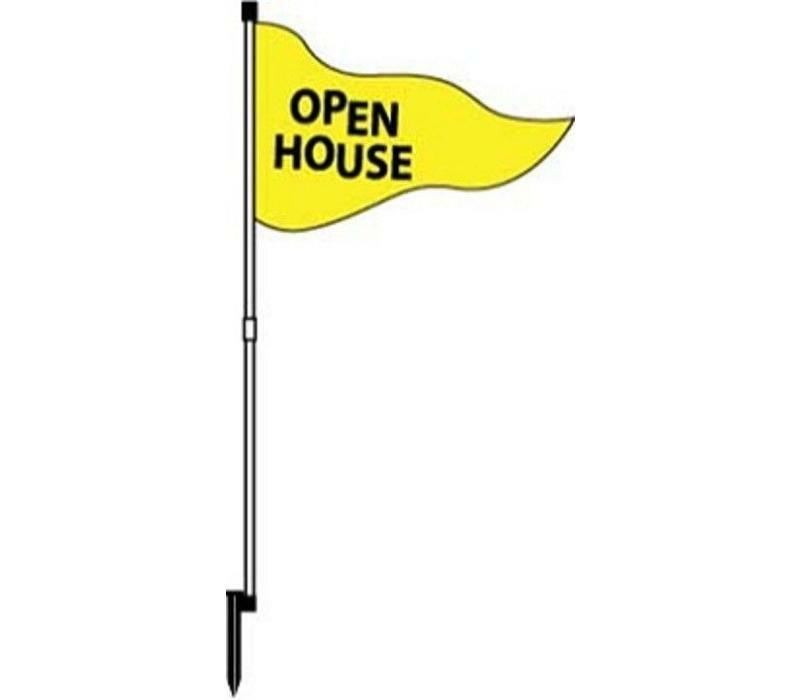 Open House Flag - Yellow Nylon w/Black Print on both sides. 67" tall PVC Pole that divides in the middle for easy storage and transport. "Ultra Tough" Plastic Pounding Head Stake easily sinks into the ground.